With the second annual Women in Tech Week in full swing, CommonBond is proud to once again celebrate women in technology roles, and support the next generation of tech leaders. 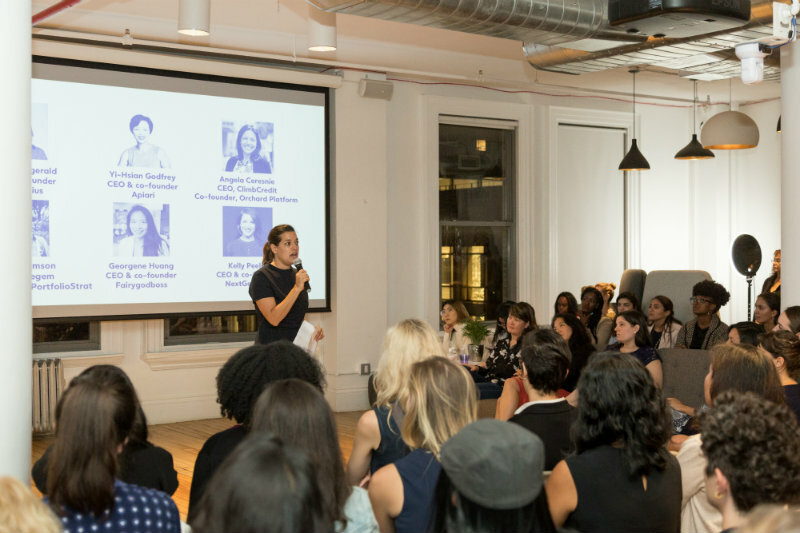 As part of our commitment, we were hosted the second iteration of our discussion event, “Inspiration and Insights from Female Founders,” on Tuesday evening. While each woman’s path to founding her company was different, they all shared the benefits of what they learned in their journeys. Every future founder gets there differently, but they all have one thing in common: they reach a point where they decide that they’d rather work for themselves than for someone else. For Jennifer Fitzgerald, it was one of a string of moments in her life when she realized that the most important expectations to live up to were her own. When she graduated from college—and after a lot of soul searching—she decided to join the Peace Corps instead of getting of a government job. Then, 12 years later, she was working for a management consulting agency and got the same gut feeling that it was time for a change. She and her co-founder teamed up to start Policygenius, a direct consumer marketplace for insurance. Of course, there’s no substitute for research and preparation—Fitzgerald did plenty of both before making each major decision. Still, once she had all the information she realized that it was more important to do what she believed would work than to play it safe. Part of the research that Fitzgerald mentioned involves finding a space or niche in the current marketplace that needs to be filled. Sometimes, it even happens by chance. Yi-Hsian Godfrey and her co-founders came up with the idea for Apiari—a company that provides help and homecare solutions—when they realized that they needed assistance with childcare. Then, as their children started to grow out of the age bracket that required additional attention, their parents grew into it. It was a problem begging for a solution. After all, that level of attention is bound to create stress, which in turn leads to health problems. Those health problems aren’t dispersed equally, either—while 5.5 percent of men report feeling depressed, the number jumps to 10.4 percent for women. By providing this access to help, Godfrey hopes to make a major impact in health across generations. Georgene Huang similarly found her calling from a changing family structure. After being fired from a major publishing company while two months pregnant, she was back on the job hunt. This time, though, her priorities (what sort of maternity leave was offered, for instance) had changed. Moreover, she didn’t necessarily feel comfortable bringing up these concerns on interviews. The result was Fairygodboss, a forum where women could discuss companies and roles from their perspective and offer information that might otherwise be hard to come by. In addressing her own need, Huang created a product that many others could find useful. Finally, Kelly Peeler was inspired by the world of student lending. Saying that “the student loan crisis feels like the next big financial crisis,” she was compelled to start NextGenVest, a financial advisory resource for Generation Z students. With all the pressures of running a company, it’s easy to put on blinders—the only thing that’s important is accomplishing the next task or hitting the next milestone. Take it from the pros, though—you’ve got to enjoy your wins. Angela Ceresnie learned from a young age not to give up, and that tenacity has paid off—she counts herself lucky for the skills she learned and the people with whom she’s gotten to collaborate. To her, that’s what success looks like—not giving up—and she makes sure to appreciate it. Of course, women in business have to face challenges their male peers don’t—Mary Williamson recalled being called “difficult” and“aggressive” for behavior that likely would have earned a man respect and compliments. Still, celebrating the small wins (with a glass of wine, Kelly Peeler suggests) and exploiting the advantages you do have—from your network to your drive—is crucial for success. In the end, it’s all about need—both your own and the consumers’. Satisfying both while maintaining balance in life links all the founders’ stories to each other. Women in Tech Week runs through October 12, and also includes a social media campaign: post why you support women in tech and use hashtag #2018WITW, and for every post with this hashtag CommonBond will make a donation to Girls Who Code. We encourage you to participate! 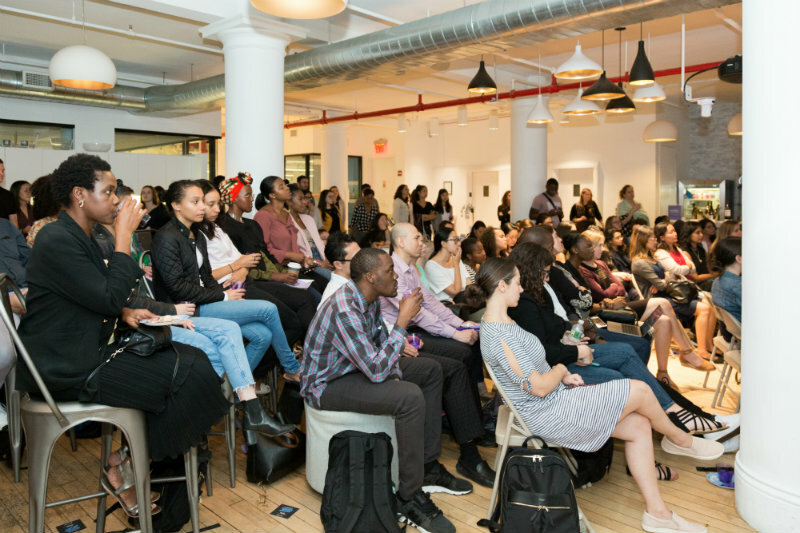 Women in Tech Week is just one way we support our members and our community. Along with our annual Social Impact Award or one-for-one Social Promise, CommonBond is committed to being a for-profit business with a social purpose.